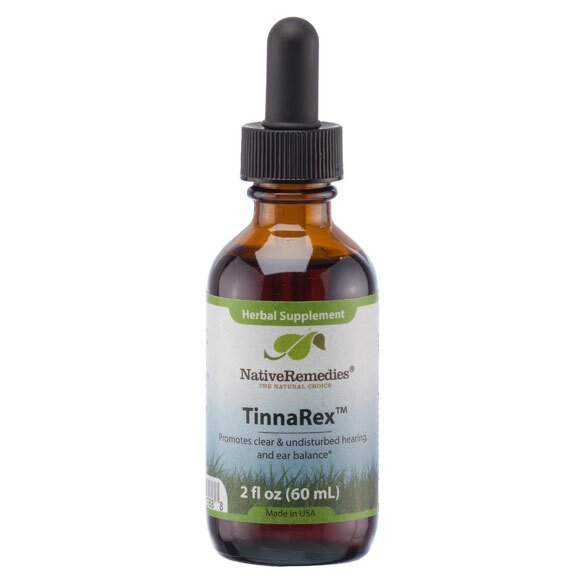 NativeRemedies® TinnaRex™ hearing supplements support ear health to help you rediscover clear, undisturbed hearing. Natural supplement encourages the health of all body systems that help the ear perform, promoting better hearing with less ringing. Health supplements help restore inner ear hearing and balance. Promotes efficient sound conduction and conveyance. Supports circulatory, cardiovascular and nervous systems. Add drops to water, juice or milk 3 times daily. 60 ml bottle lasts approx. 80 days. Maybe it will help my tinnitus. To help me hear better! I'm having hearing issues and want to try this to see if it helps. My husband has ringing in his ears I thought this may help. I wanted to try this.. I'm seeking relief for the many ear problems I have, i.e., ringing, buzzing, distortion of sound and itchy ears. I am "hoping" this product will give me some relief from my tinnitus. I have tinnitus and a blocked eustacian tube. As a result, I have very little hearing. Maybe this will help? I am looking for something to repair my hearing without an expensive hearing aide which I cannot afford. please send me the ingredients of this remedy could you? BEST ANSWER: Thank you for your question. Below is the list of ingredients.We hope this information will be of help to you. can this be taken with BP medication? BEST ANSWER: Thank you for your question. Before taking the TinnaRex, we suggest to check with your doctor to be sure that it is safe to use with any medication that you are taking. Your doctor will know if it is safe to use with any medication or not. We hope this information will be of help to you. Will TinnaRex reduce/eliminate my tinnitus? I have a constant buzzing sound in ears which doctors say cannot be helped. BEST ANSWER: Thank you for your question. This promotes clear hearing and balance. It may help, but in no way can we guarantee it. We hope this information will be of help to you.